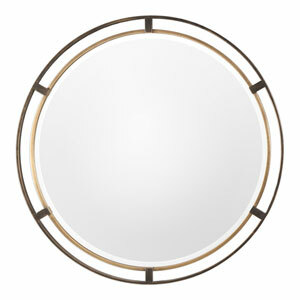 Smart, graceful and concise, the round Feiss Johnson mirror is offset by a simple beveled edge and a minimal Oil-Rubbed Bronze border. 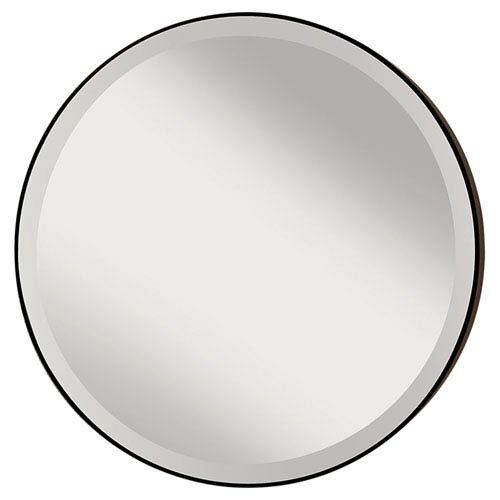 The Feiss Johnson light mirror in oil rubbed bronze is the perfect way to achieve your desired fashion or functional needs in your home. 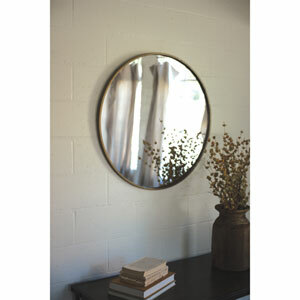 Add minimalistic style to a powder room or over a vanity. 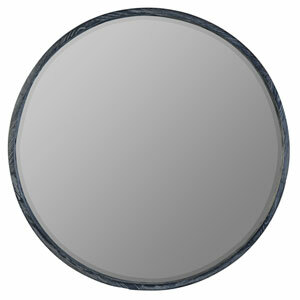 Johnson Oil Rubbed Bronze Mirror is rated 4.6 out of 5 by 5. Rated 5 out of 5 by Ll12345 from Love it! Very happy with this mirror! Looks great in our guest bathroom. 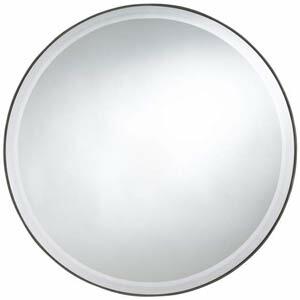 Rated 4 out of 5 by Type A Gal from Looks great above bathroom vanity We redecorated one of the bathrooms in our house. 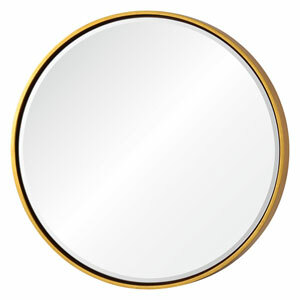 The mirror that went with the wooden vanity we purchased was unavailable. 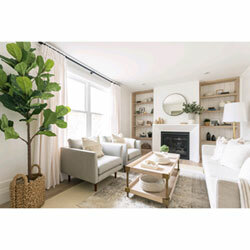 I don't love matchy-matchy anyway and looked for something to compliment our transitional style. 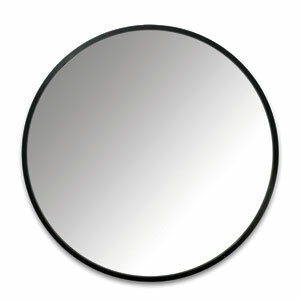 I love this mirror. 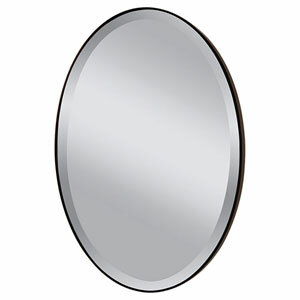 It's a great size- nice and big for above the 32" vanity. Any bigger and it would have been too large for the space. 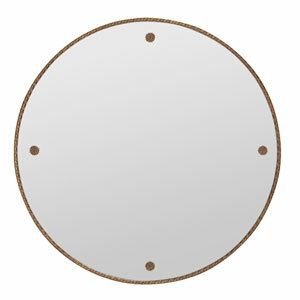 The mirror frame is about 2" deep, so it sets out from the wall. The frame also isn't actually oil rubbed bronze. 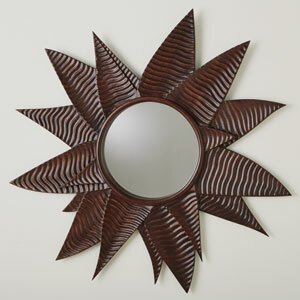 The color is a dark brown, and it works great with the dark bronze fixtures in the room. 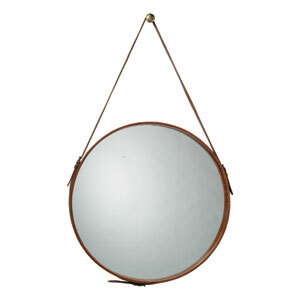 The mirror is light for its size, and very easy to hang. If you hang it with the included hardware, the mirror will lean away from the wall by a couple of inches from the top, tilted slightly away from the wall angling down. Not a lot, but it is definitely noticeable from the side. This was not a problem for me where I hung it, but if you plan to have it perfectly flush to the wall you will need to figure out another way to hang it. Overall a very good purchase for the $$$. 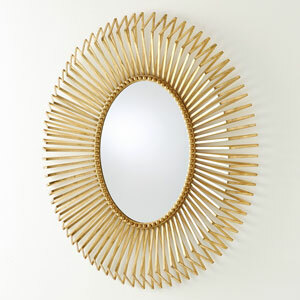 Rated 4 out of 5 by Chezhui from Absolutely Stunning A true statement piece, well made, exactly like the picture. Packaged not to break. 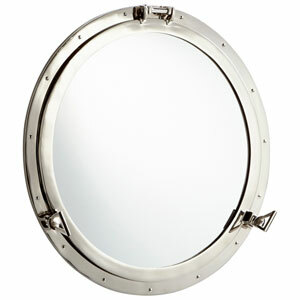 Bought it for a small powder room and it is a show stopper. Rated 5 out of 5 by SusanN from Just a What I Wanted! Perfect size for my small sewing room. Gave the wall more "presence". Very well made, easy to hang with the supplied hardware. Love the beveled glass. 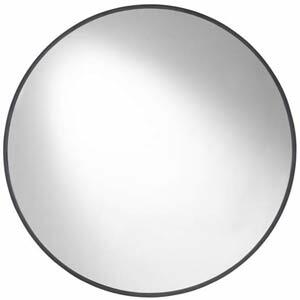 Rated 5 out of 5 by Takodas Mom from Beautiful mirror! 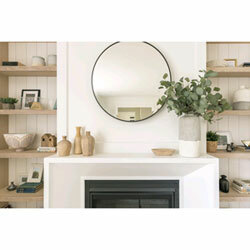 I ordered this mirror for a guest bath in our new home. It arrived quickly and it looks fantastic! The frame is about 2" deep and the bevel is a nice touch. I'll add a picture later.